P3M3 is a maturity model that measures an organisation's capability with regards to its portfolio, programme and project management practices. This measurement is expressed as a 'maturity level' that indicates an organisation's current capability in these practices. An organisation's maturity is a measure of its ability to implement continuous improvement, and a maturity model, like P3M3, is a management tool that can be used to diagnose root causes, assess current capability, and demonstrate improvement. It also acts as a roadmap to achieving performance targets. 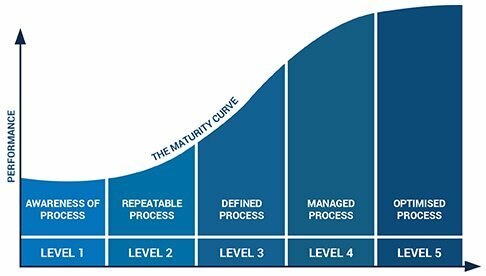 These maturity levels are a measure of an organisation's ability to deliver repeatable results - the higher up the curve the more predictable the outcome. Each of the three models within P3M3 can be used separately or together to provide a basis for the development of an improvement plan. To help an organisation to be more effective in delivering change and transformation through its portfolios, programmes and projects. How can P3M3 benefit your organisation? Using P3M3 to assess your organisation's capability lays everything out on the table - both the good and the weaker areas of your existing project, programme and portfolio practices. For the good areas, it means that these can be shared with other parts of the organisation to demonstrate good practice, whereas identifying the poor areas means that these can be deliberately targeted for improvement. So how does P3M3 help? What does an ILX P3M3 assessment look like? A group of project and programme managers, sponsors, internal customers and team members complete self-assessments using the 3CAT online assessment tool. ILX consultants evaluate the self-assessments and validate the scoring by completing face-to-face interviews with a selection of PMs and other stakeholders. Initial findings are presented to a work group, along with recommendations for further development, and these are then prioritised. ILX consultants document the findings and collaborate with the work group to develop a high-level plan for implementing recommendations. 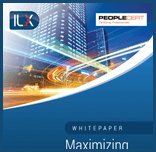 The plan can then be executed by the client organisation or implemented by an ILX consultant. Within two weeks, our assessment team will capture current data, establish a measurable baseline for current capability and develop practical measures that will develop maturity in your project management delivery.